Disney World is known for its magical entertainment resort in the middle of Florida’s two lakes known as Bay Lake and Lake Buena Vista. Harbored near Orlando and Kissimmee, Disney World is a convenient safe haven for a quick family getaway trip. However, the irony is that many growing families cannot afford the ever-growing travel expenses to their favorite vacation spot. Rounding up the extended family for an affordable round trip can be a quick and affordable way to economize one of the world’s most popular and expensive travel destinations. 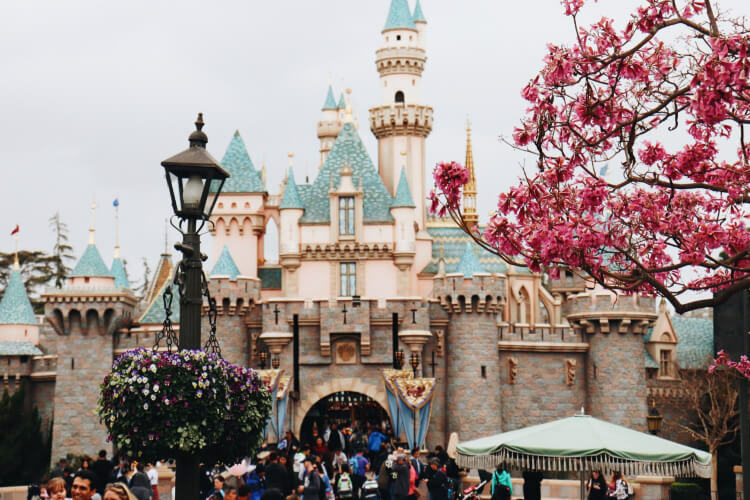 Traveling to the Disney Parks in a private shuttle stretches the entertainment experience by bringing the family along for the ride before you’ve even set foot in the park. Transportation shuttles can transport family members from the airport to hotels or various theme parks such as Epcot, Magic Kingdom, Hollywood Studios, Blizzard Beach, or even neighboring amusement parks such as Universal Orlando or SeaWorld. Group travel costs are notably more affordable by bus than by other forms of mass transit due to a range in group flexibility rates and communal convenience factors. GOGO Charters matches your family budget and event atmosphere all in one stride. By providing the casual ambiance of organized travel, charter bus rates prove unmatched by alternative travel methods such as private cars. In addition, other group travel methods tend to charge more per person and lack the flexible hours of a charter bus. Unlike renting private cars, chartering a bus with your family allows for everyone to ride together to nearby events or local attractions. Charter bus rental prices vary from $125 to $180 per hour in the Orlando, Florida area. Group travel rates are dependent on several key factors such as the time of year, which type of bus you would like to take, how far you’re traveling, and the number of passengers in your group. Whether you’d like to schedule a charter bus or a minibus rental, it is best to guarantee a personalized experience catered to your travel group. There are several options available for families and groups of various sizes. A large family or group of friends may want to take a 56–passenger charter bus rental. Whereas, a church or office group may want to invest in an 18–passenger or 20-25 passenger minibus for additional luggage storage. Regardless of the size of your group, we will provide tailor-made transportation you and your family can count on! For example, GOGO Charters booked a trip for a family of 45 people during the summer months at the peak of public transportation’s busy season in Orlando, Florida. The family included an elderly couple who was picked up at the Orlando International Airport accommodated with an ADA (Americans Disabilities Act) approved bus and wheelchair accessibility. The family was able to bypass long waits and unpredictable schedules with public shuttles. Discover an affordable transportation option when you call GOGO Charters for your family getaway to Disney World. Once you’ve split the cost through a group rate, you will be able to afford far more upon arrival to your travel destination. If you have any questions feel free to present them to our team of travel experts when you call to get your personalized quote at 1-855-826-6770.